Existing cardholders can earn up to 50,000 bonus US Airways miles by referring friends to the 50,000 mile bonus offer on the US Airways Premier World MasterCard. For every friend who applies through your referral, cardholders earn 5,000 US Airways miles up to a maximum of 50,000 bonus miles. Check your email inbox for the subject “Refer your friends and earn up to 50,000 bonus miles”, and click the button Start Sharing. You are taken to an email form, where you enter the email addresses of people who you want to refer. Unfortunately there is no twitter or facebook option as Chase always offers for referral bonuses to the Freedom, Sapphire Preferred, and Ink Plus. 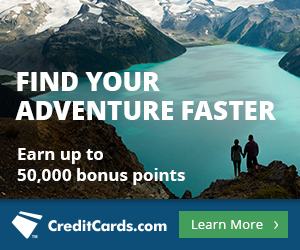 For more info and my review of the offer, see US Airways Card Now Offering 50,000 Bonus Miles. If you leave a comment asking for a referral, I will send you one. You don’t need to publicly disclose your email address because I can see what you filled in on the comment form. If you want to refer people, leave your email address in the comments and ask them to email you. Then you can refer them via the email address from which they send you an email. Anyone have success asking for a referral after the fact? I just signed my wife up for the card after having one myself for about a year. I called to ask about a referral and was told none were available. She literally just got hers in the mail a few days ago. She has not activated the new card yet either. I’d be happy to refer people, just shoot me an email at hgkhanna at gmail dot com. Thanks Scott! I’d be happy to refer people as well. Email me at pixarated [at] gmail [dot] com. Thank you Scott! The offer in my inbox this morning was for 10,000 per referral, up to 50,000! Yes, mine too but another family member got 5000 per. Seems like it is targeted. Id be happy to refer anyone! I am also happy to refer anyone! Please email me at hamadipr@gmail.com. I would be happy to refer anyone for this 50,000 card! And bonus: your referral will help me add to my balance I’m working on to take my 8yr old and 2yr old to see family Europe this summer. Below is my link. I get 5,000 miles per approval. If you wouldn’t mind letting me know if you were successful in getting approved, I would appreciate it (this is for the 50k) offer. FYI, there is a better 50K + 10k annual offer, but a lot of people on Flyertalk are saying that if they aren’t an elite status with US Airways, they are getting rejected. I have referrals available for the 50K offer as well. Email me at captainbriangabriel [at] gmail [dot] com. Thanks! I also would be glad to refer folks. I was likewise Blessed to receive a 10000 mile referral offer, so it would be a blessing to if you would allow me to refer you. I’m trying to get a ticket to China in 2015. Please (with sugar on top) email me at gentlespiritmail-nospam@yahoo.com and I’ll refer you. Would love to refer someone for this awesome card. I’m saving up to take my husband to Europe for the first time! I have 10 referrals available as well. Hey, I have 10 referrals if anyone is interested just email me at jstick5454@gmail.com. Thanks! mis-typed the email address, sorry….I can be contacted at jstick2424@gmail.com for the referrals. Email me at davwu@yahoo.com if you need a link. Thanks! Would love to be able to refer someone. You can use the link below to access the landing page. Thanks! Please send me a referral. Thanks for all of the helpful information! Please send me a referral link. Thanks! You can send me a referral link as I’m about to apply. Also, please send me a link so I can refer others once I’ve applied. Is this offer still around? I have this card, but did not get this referral email. Is there a link I can go to to refer my friends? I have a friend that would like to get this card and I want to get the miles if I am still able to. If you didn’t get the referral email, you can’t earn bonus miles. Could you please send me a referral? Thank you! Hi! Could you please send me a referral? Acting on your consultation right now. Thanks again for your help!! 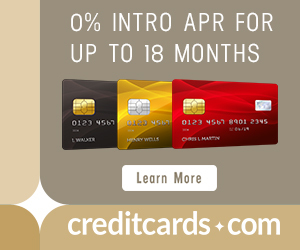 How do i get a link to sign up for card? Please send me a referral. Thx! I have 10 referrals available, please use the link below to start you application. THANK YOU!! I thought this offer was done… Weren’t people supposed to apply in January? is it still active? It will expire on Mar. 12th though. So two days left. Please send me a referral. Thank you. There are links in this comments section. Hi, please use the link below to apply for the credit card 😉 It’s a referral link.